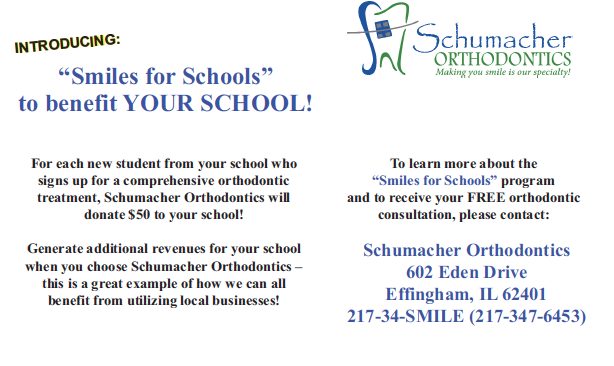 Thank you Schumacher Orthodontics for once again supporting our local schools through the Smiles for Schools program! Dr. Schumacher recently donated $2,650! 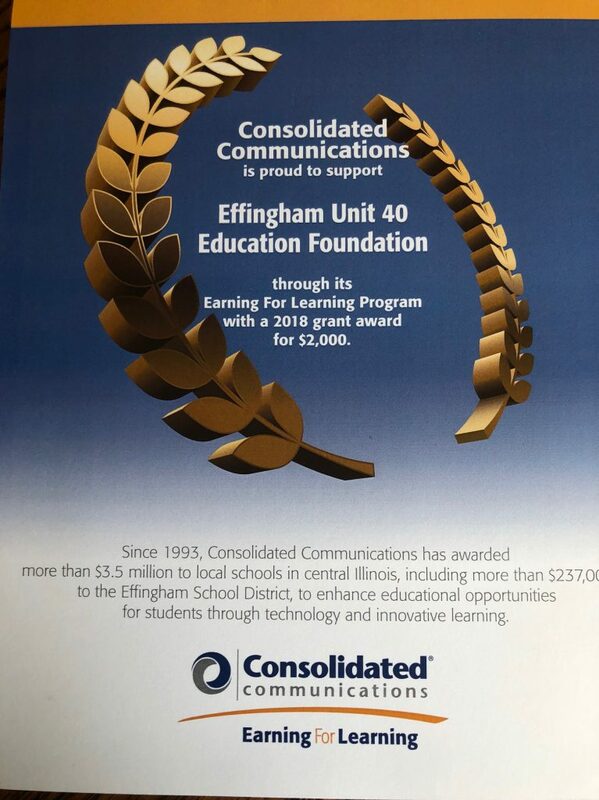 Thank you Consolidated Communications for supporting the foundation with this prestigious $2000 grant award! For more information, visit Consolidated Communications’ web site. We have completed our Annual Report for 2018. It’s a quick look at what all we accomplished last year, including teacher grants, scholarships, fundraising events, and community donors. Click below to view the report. 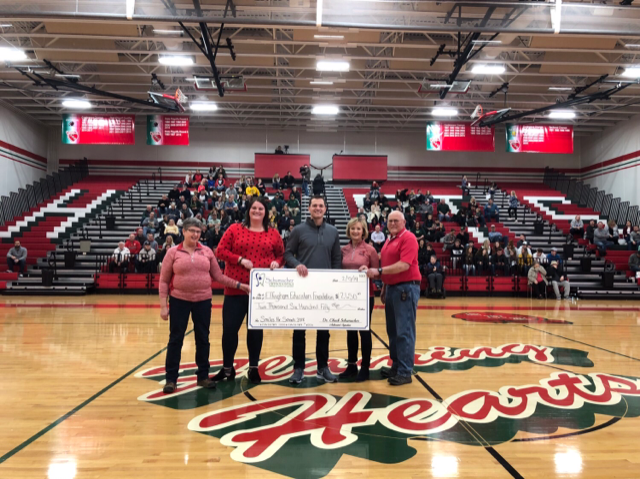 We enjoyed a night of team trivia, food, fun, & auction items with teachers, staff, parents, area businesses, & community members in support of the Unit 40 Education Foundation. Congratulations to the 51 recipients of this year’s scholarships! We are proud of your accomplishments and can’t wait to see your successes in the future! Check out our complete listing with photos from this year’s Scholarship Reception on the Scholarship page. 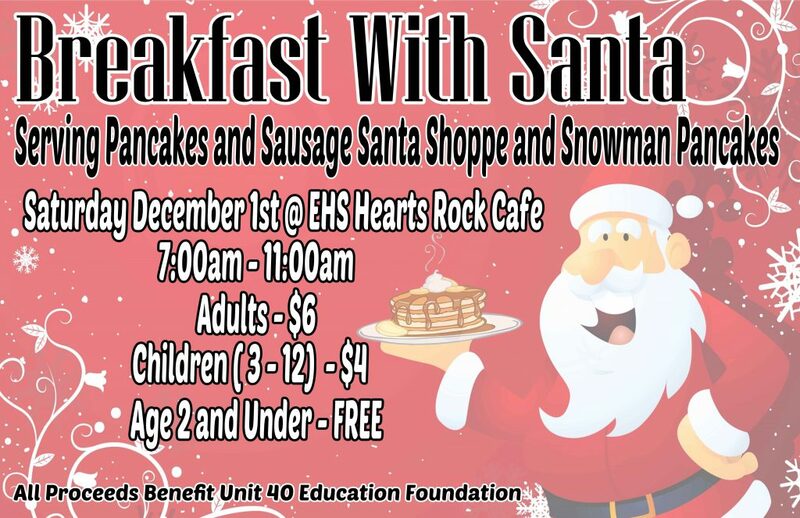 If you would like to become a member of our generous group of scholarship donors or get more information about ways to support our Unit 40 students, please contact any Foundation Board Member or call the Unit 40 Board Office at 217-540-1500 to leave a message.